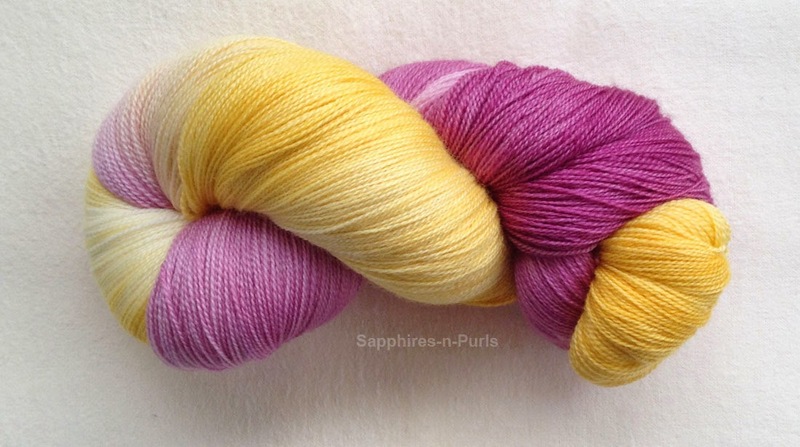 I totally love dyeing yarn! Above is Orchid Nectar - doesn't it look positively yummy? Imagine a lace shawl in this color, or maybe just a light, wispy summer scarf. I've got lots of other colors and bases available. If you haven't yet, stop by my Storenvy shop and take a look around! I recently got a shipment of all brand new bases, and I am so excited to experiment with them! I hope to have those ready to list some time in May. Happy Crafting - go have yourself a super day! Love this color combo. Heading over now to check it out. I've dyed yarn myself, but have never been able to get a good purple. We have well water so I don't know if that has anything to do with it?